Thanks to your feedback, Swimia has become in just quite a few months one the most crucial sites of swimming pools. 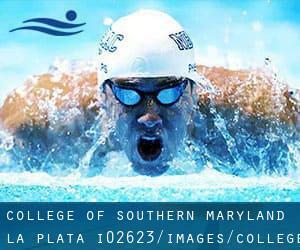 Here you might have all of the info we know about College of Southern Maryland - La Plata, in La Plata. Don't forget you can also promote this pool so College of Southern Maryland - La Plata will appear the first of La Plata, or even the very first of your country, get in touch with us to know far more. Swimmers like you reported 25 yards, 6 lanes, 3 feet - 12 feet depth, Non-Chlorine Sanitized, Indoors. Unfortunately we do not have the email address of this Swimming Pool, but we can give you the phone number. Updated on 2019 3000 Chicamuxen Rd. , Indian Head , MD , USA (Postal Code: 20640). This sports center offers 25 yards, 6 lanes, Indoors. For this Pool, only phone number is number here. North Point High School , 2500 Davis Rd. , Waldorf , MD , USA (Postal Code: 20603). Swimmers like you reported 25 yards, 6 lanes, Indoors. Unfortunately we do not have the email address of this Swimming Pool, but we can give you the phone number.